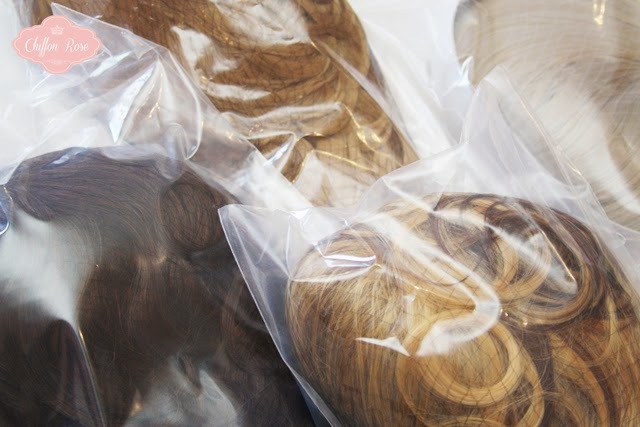 Mulberry Chronicles: Wigs and Fabric! We have been blessed with beautifully warm, sunny days. I've been sipping green tea and steadily working through what needs to be organised before my Tokyo trip next week. It's a good sort of busy. I will admit that the best part of working for a shop is unboxing new stock! 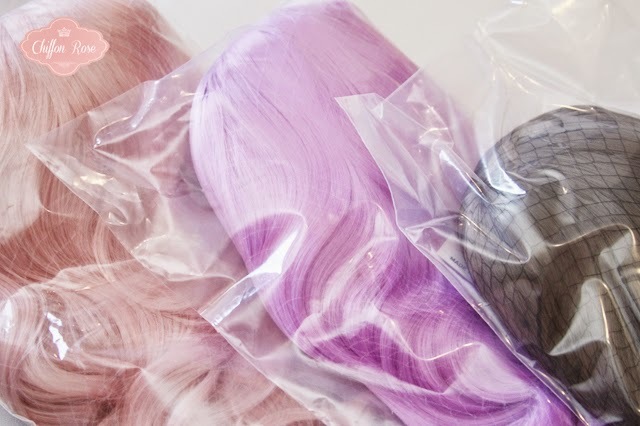 Today I received a shipment of glorious synthetic wigs in pastel and natural tones and varying lengths. Below is a snippet of the collection. I hope I can set up everything on the website before I leave so yo can have a browse through it all and maybe request shades/styles that I haven't covered yet. Wigs are a great way to take colour coordination to the next level or to achieve vibrant hairstyles without the cost and damage involved with hair dyes. Being a member of the pixie-cut club, I love the convenience of putting on a wig and not having to worry about frizzy hair or restyling it. In other news, I bought some gorgeous fabric for myself and a friend. I was thinking of designing a Juliette et Justine style dress for myself that could accommodate a frilly blouse. 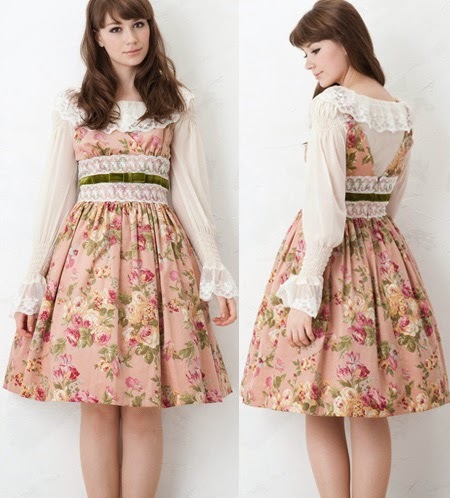 A lacy bodice would also be amazing but I wonder if the illustrated picture frames are too heavy to suit lacy accents. At least it's an excuse to trawl through fabrics shops in Japan for beautiful lace designs!